Almost a month ago I received an email with an opportunity like none I had ever been presented with. Chase Bank and their sponsors had created a contest for small businesses to enter that would give them the opportunity to win a grant to help better their business and community. I carefully read the fine print and compared the rules to my private practice and found that it was worth the time to apply. After completing the application I was given the feat of collecting 250 votes to support my business. I honestly thought this would be fairly easy but early into the voting period I understood that getting that number of votes would be much harder than I anticipated. I spent time daily posting requests on Facebook and even had a lull of time where I did not post anything. I was filled with many emotions. I did not want to harass or bother people on Facebook and as time went on I started to feel like there was no chance of meeting this challenge. After taking time off of requests for votes I decided to give it one last try. I made up my mind that if it was meant to be it would. So in one day my husband and I worked hard to rally the support of our friends. At that moment something amazing happened. People started to vote. My numbers were climbing by 10’s and at the end of 24 hours I had collected close to 80 votes. This was great but we still had a way to go. As I signed into my Facebook the next day I noticed another miracle. The support of people both whom I knew and had never met in person. People were asking their friends to vote for our cause. They were tagging friends independently and asking for their time and people were responding. I can tell you that never in my life have I felt more supported by my community. It is a community filled with love and compassion as well as supporters. 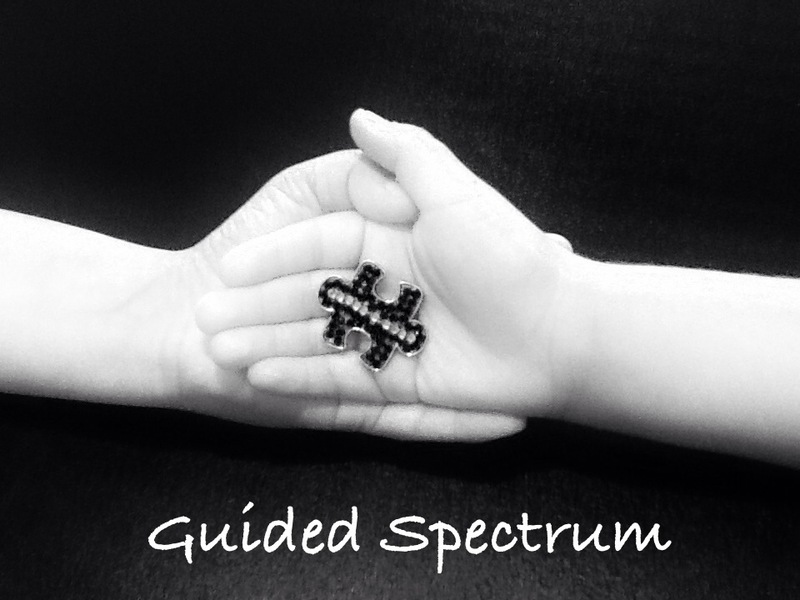 As of 9:30 pm last night Guided Spectrum hit the required 250 vote mark 9 days early. We are in to the final round because of everyday mom’s, dad’s, grandparent’s, and friends standing behind the support of a girls dream and the hope for better services for children with autism and their families. It warms my heart to know that in some way I have touched 262 people as of this moment in a way that compelled them to vote for my business. From here, it is a waiting game. Hoping that our program and dreams will touch the hearts of panelist who have the daunting task of deciding which 12 businesses are in and which are out. Here is what I know, the money from the grant would make it much easier to accomplish the dreams I have for supporting children with autism and their families. Not getting the grant will not stop my vision, it will just take longer to reach my goal. The dream of having a center that offers comprehensive supports to children with autism and their families is one I will not give up. To offer the families a place that feels like home and where the whole system is supported including siblings is something that will not leave my mind. I know that I can make a difference with or without the money but what a wonderful dream and amazing year it would be if we could have this opportunity to make it happen now. Regardless, my request to you, the community, is to rally around the parents in your community and show them that you care the way you have done for me. Let them know that they are free to go where they want with their children without judgement, stares, scowls, and comments. Stop to help the mom with a grown child having a tantrum on the floor. Give the young boy a moment to tell you about his favorite toy even though you do not know him. Take a second to let the dad with his hands full go ahead of you in line. We are all so busy with our personal lives that we have forgotten the it takes a village and each of us are members of that village. Please pay it forward, because I know that someone has been kind to you in an unexpected way at least once in your life.